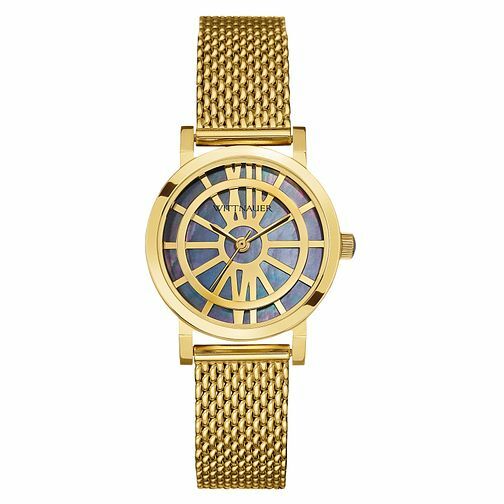 This gold-plated timepiece offers the wearer a classic yet vintage look. The face is mounted against a contrast blue mother of pearl dial, offering a beautifully unusual finish. Roman numerals at the 12 and 6 hour marks accentuate the traditional nature of this watch. The intricate links in the bracelet make it fluid and extremely comfortable to wear.